Scaffold Solutions is a family owned and operated business with over 30 years’ experience in the Christchurch Construction Industry and strive to give each and every client the personal touch. We own the best scaffold system hence we keep our costs under control with lower erection times. 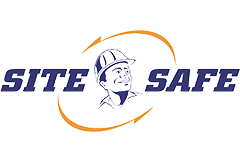 We are a Kaizen Company by continually reviewing and improving our systems, training and plant resulting in the best performance and value for our many clients. What Scaffold Solutions can do for you? With more than 30 years experience in the Christchurch Construction Industry, Scaffold Solutions bring the same values of honesty, respect and professionalism to provide safe, quality scaffolding throughout the Christchurch & Canterbury region. Our hassle free, honest and reliable approach has laid the foundation for our reputation as market leaders. This is built on a combination of dedicated people, superior service and a focus on safety with top quality equipment. We adhere to strict quality and maintenance standards with our inventory, making sure you are provided with the best and safest equipment to get the job done right, the first time. Our fully trained scaffolders work with a variety of systems and we cater to all scaffolding needs across commercial and residential sectors. If you are looking for a long or short term solution – we have a solution to meet your needs. Contact us to arrange everything from a quote for erection, dismantling, delivery and more. Emphasising That Every Job Has Its Own Specific Requirements, We Will Work With You to Provide Exactly What You Need – Quickly and Easily.